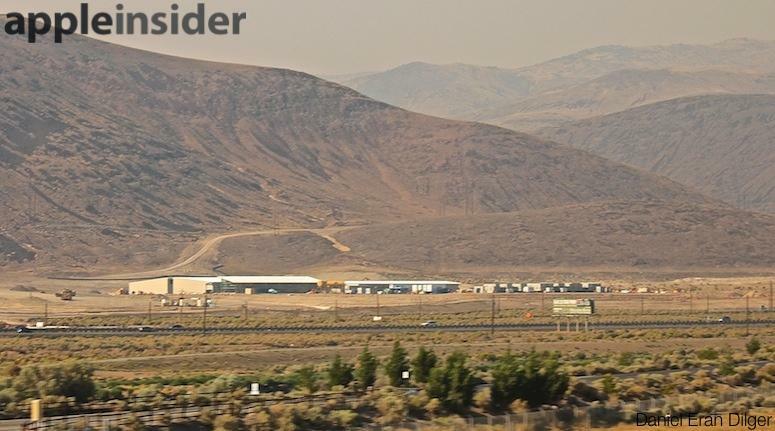 Apple's facility, now under construction at the Reno Technology Park, is the company's fourth major U.S. server installation. It is designed to support users of Apple's iTunes, iBookstore, App Store and iCloud services. 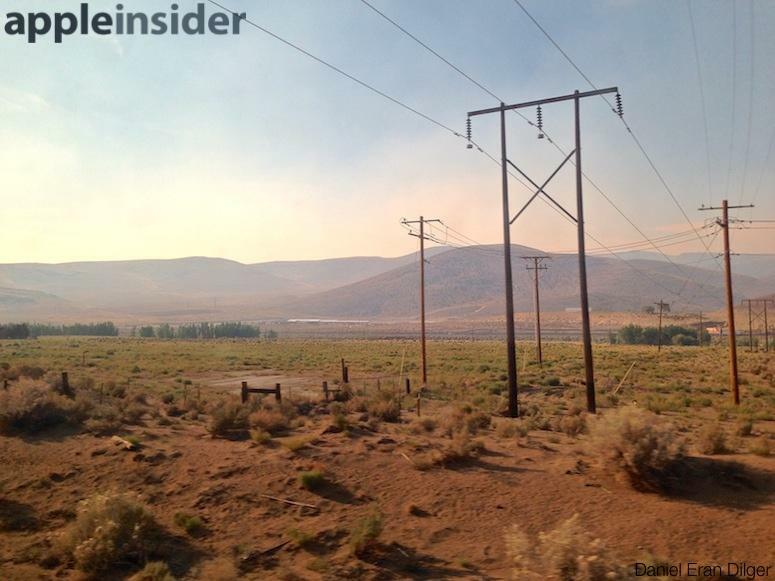 These views of the site, taken from an Amtrak California Zephyr train headed from the San Francisco Bay Area to Chicago, Ill., reflect one reason why Apple chose the site: parallel to the first U.S. Intercontinental Railway built in the 1860s, America later built what would become Interstate 80, and along that right of way, multiple carriers have laid fibre optic data lines. Readily available highway and rail capacity facilitated the development of a large industrial park just south of the RTP site, including multiple power plants that create more than enough local power. 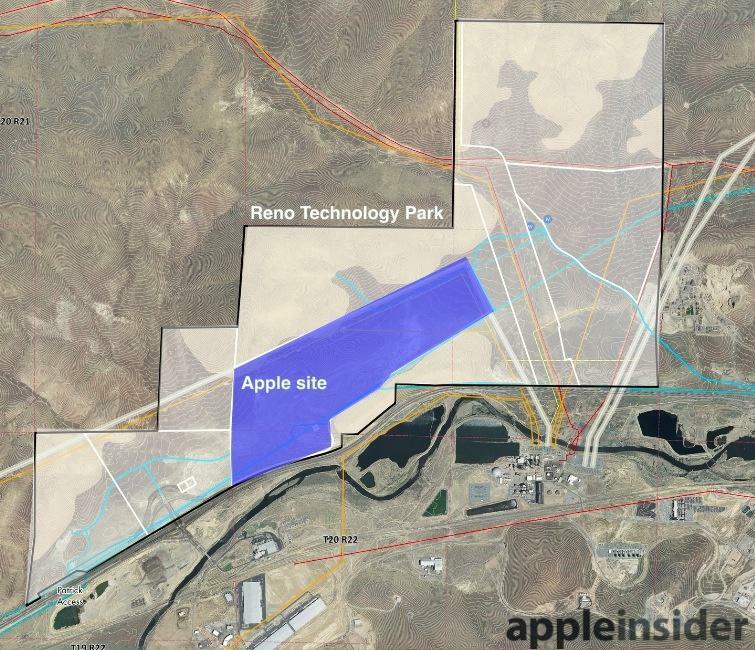 That plentiful electricity, along with redundant data pipes, the dry climate, naturally occurring sources of clean water from underground aquifers, inexpensive land (with lots of sun to power a solar array), favorable construction costs and local tax incentives have made the Reno site Apple's largest land acquisition. 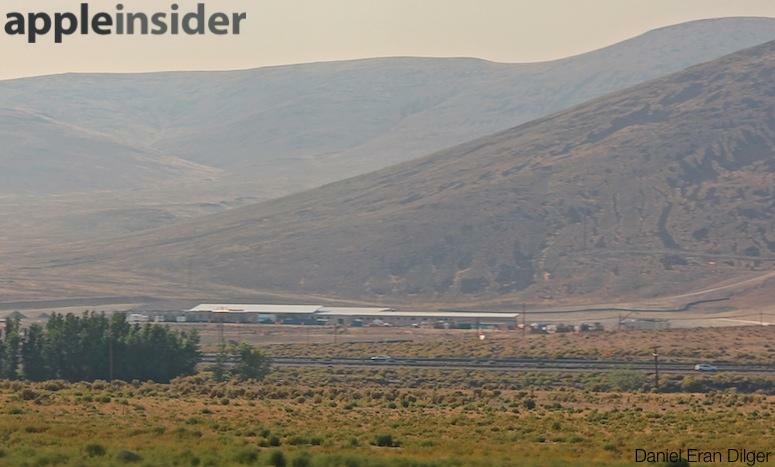 In early July, the site was just beginning to erect the framework of its first permanent, large new data centers (shown above from the highway). Today, just five weeks later, multiple vast structures are now enclosed (below, from the parallel railroad tracks; both views are from the southwest). From the other direction, the rapid pace of construction is also evident. Below are the first structures from July viewed from the southeast, and what the same site looks like today, and again from more of a distance. Apple's construction contractors have so far been laying the necessary groundwork for building one of the world's greenest data centers. 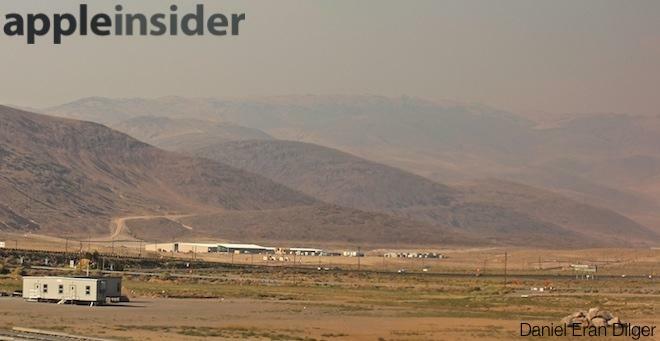 AppleInsider has previously detailed the massive scope of site preparation, the sophisticated water technology being installed and the site's high speed data conduits. 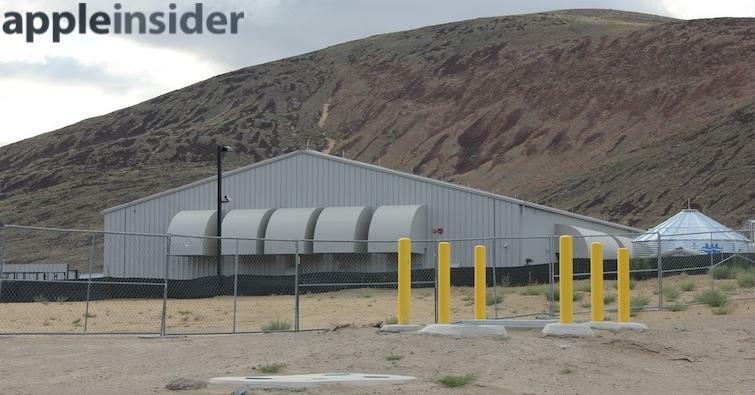 After the company's initial jump start in construction that created a 21,000-square-foot pilot test facility, the site didn't offer many obvious signs of new construction apart from ongoing dirt movement by a fleet of huge trucks. In May, Apple filed permits outlining more than $16 million of contraction, including $4 million in general infrastructure improvements, a $4.6 million, 38,000 square foot administration building with a "loading dock and staging area," and over $6.8 million for two "data processing cluster buildings" described as totaling 50,570 square feet. Two months ago month, the site completed the initial segments of the drainage work serving the large area that will be used to build permanent data center facilities. Apple also added new air ducting to the initial structure, which formerly blew exhaust heat out window-like panes on each side of the building. The new exhaust hoods (shown below) first appeared in June. 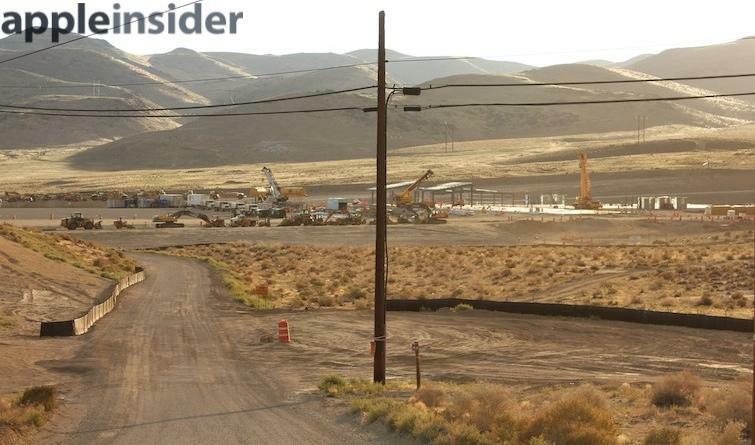 Apple has 345 acres of land surrounding the new buildings, nearly twice the area of its Prineville, Oregon project also now under construction. 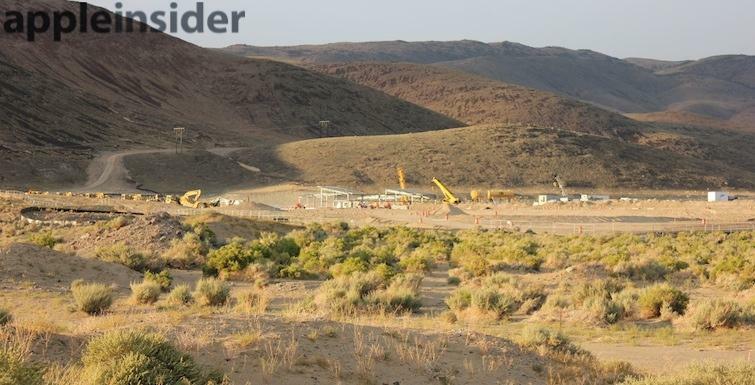 The Reno site will allow for vast expansion of both data center buildings and supporting structures, including solar fields.